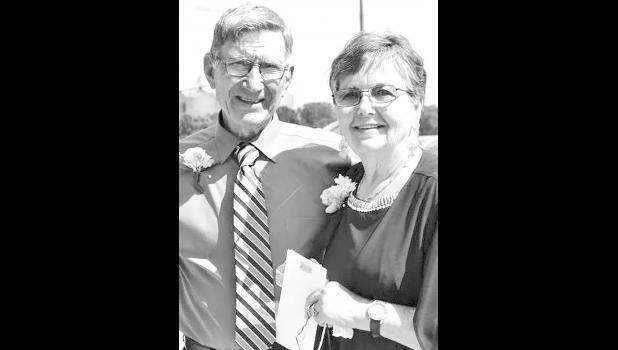 Orville and Shirley (Lierz) Hutfles of Holton are celebrating their 50th wedding anniversary. They were married on Feb. 3, 1968, at St. James Catholic Church in Wetmore. Orville and Shirley have three children, Ellie Haverkamp and her husband, Kevin, of Wetmore, Jesse Hutfles and his wife, Connie, of Netawaka, and Charlie Hutfles and his wife, Jennifer, of Horton, and 15 grandchildren. The couple will celebrate their anniversary this Sunday, April 15, at the Wetmore American Legion with a dinner hosted by their family. There will be a reception following from 2 p.m. to 4 p.m. for extended family and friends. The couple requests no gifts.